After long interval of time, we Nepali football fans got an opportunity to support our National team at our national stadium. Most of the fans were excited to watch and support the national team. 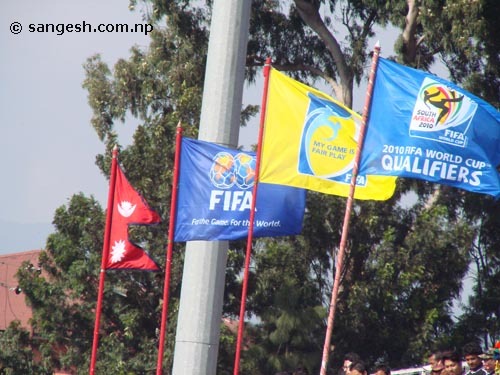 It was a 2010 FIFA world Cup Qualifier 2nd League game between Nepal and Oman. The last time I went to support our national team was in SAF Games may be a decade ago. I was excited to see the game and chant for nation team.